This post was published 11 years 1 month 25 days ago. A number of changes have been made to the site since then, so please contact me if anything is broken or seems wrong. 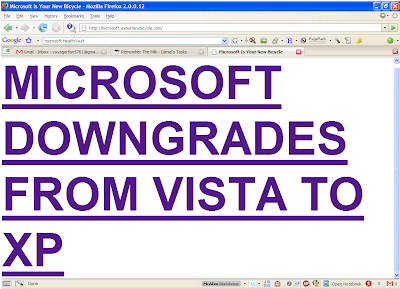 Great fit for the company that made the worst operating system I’ve ever heard of, eh? Just thought it was funny. Any takers? Beg-to-disagree-ers? Hit the comments; I’m waiting to hear from you!